“Can You Pass the Acid Test? The happeners are likely to include The Fugs, Allen Ginsberg, The Merry Pranksters, Neal Cassady, Roy's Audioptics, The Grateful Dead,” Grateful Dead Archive Online, accessed April 19, 2019, https://www.gdao.org/items/show/386978. 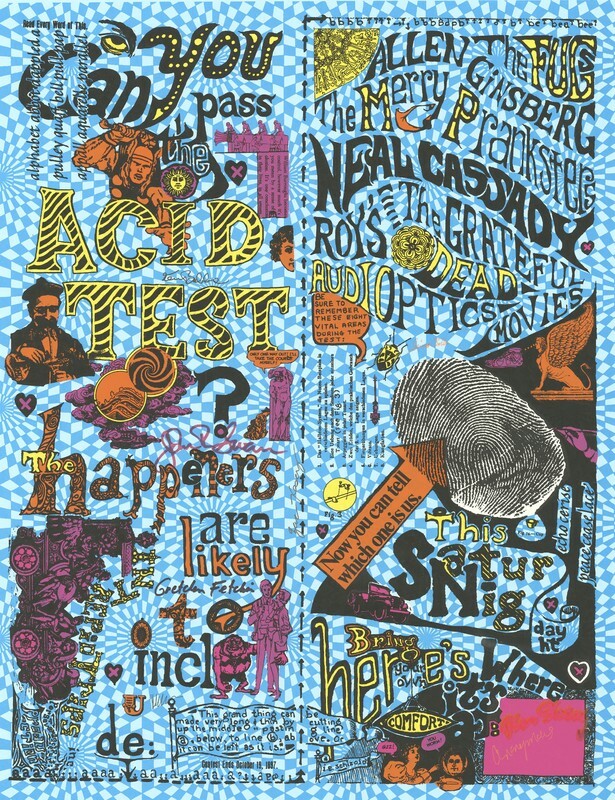 I have always loved the "Can You Pass The Acid Test" poster. The Viking... ha ha! I have a black and white copy but have never seen it colored in blue. Was this the original color of the poster? Pete the man who despite 2 assassination attempts is still here alive and living! Hooray!